We are AudioBody. We invent, hack and create a world of physical comedy and music technology. 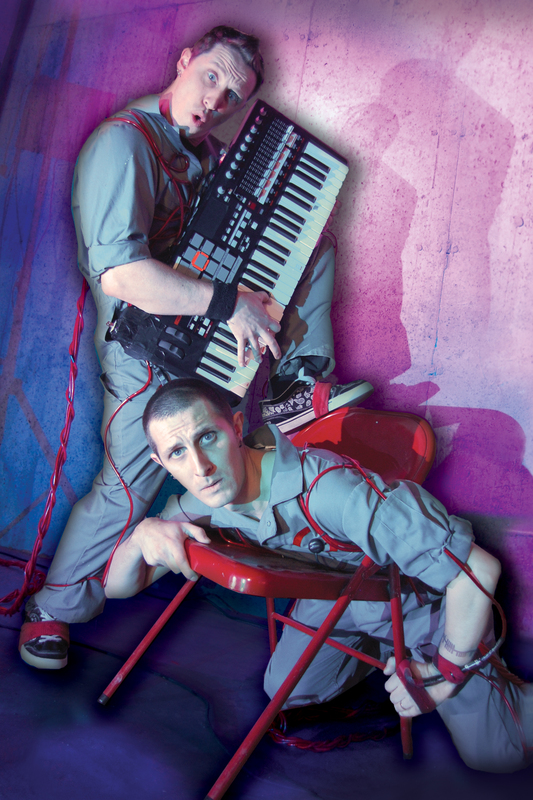 Join us on this hap-hazard adventure of sibling rivalry, technological mishaps, relentless comedy, full-body contortion, LED light-shows, and up-beat music! We’ll even throw in a grand finale tribute to the Star Wars classic Imperial March! We find common ground between circus arts and science fiction. You will not be prepared. You will not be disappointed. Matt and Jason Tardy’s multifaceted training, and 18 years of experience in the performing arts has brought them all over the US and abroad. Some highlights include the Atlantis Resort in the Bahamas, the Golden Phoenix Casino in Reno, NV and even The White House in Washington DC three times! "AudioBody was an explosion of AWESOME!" "Don’t live with regret! Years down the road you’re going to want to be able to say you saw this performance!"